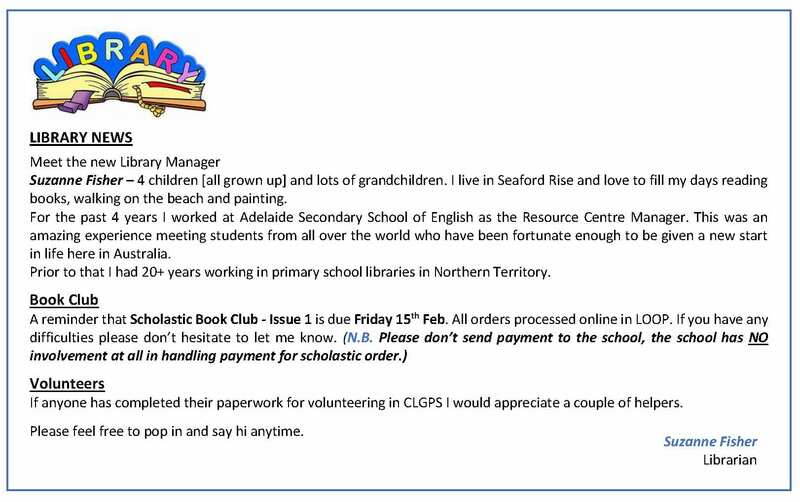 This entry was posted in Previous Posts on February 19, 2019 by clgpschool. Due to enormous parent / guardian and community interest in attending the ‘Volunteer Training Sessions’ last week, more than a few keen parents/extended family and community members were turned away as all 3 nights bookings quickly reached maximum capacity . Please select a ‘Volunteer Training Session’ from date/times offered above and contact the school administration staff on 8276 1523 or at dl.0723.admin@schools.sa.edu.au to secure your booking. This entry was posted in Previous Posts on February 10, 2019 by meganclg. This entry was posted in Previous Posts on February 7, 2019 by meganclg. HAVING TROUBLE SETTING UP YOUR PARENT PORTAL / APP? As a handful of parents/families have reported having difficulty with setting up their SENTRAL for Parent Portal and linking the downloaded App. Below are links to the parent portal website and step by step portal set up instructions for those who are in need of assistance. N.B. If for any reason you choose to revoke your ACCESS KEY after applying it, this action will render the key ‘invalid’ and you will need to contact Megan or Penny to request that a replacement key be generated. This entry was posted in Previous Posts on February 6, 2019 by meganclg. AFTER HOURS SUMMER SPORTS REGISTRATIONS – HURRY, CLOSING SOON! Summer season sports registration site closing soon!… Don’t want your child/ren to miss out? Registrations close for Basketball, Cricket and Softball on February 8th. This entry was posted in Previous Posts on January 31, 2019 by meganclg. 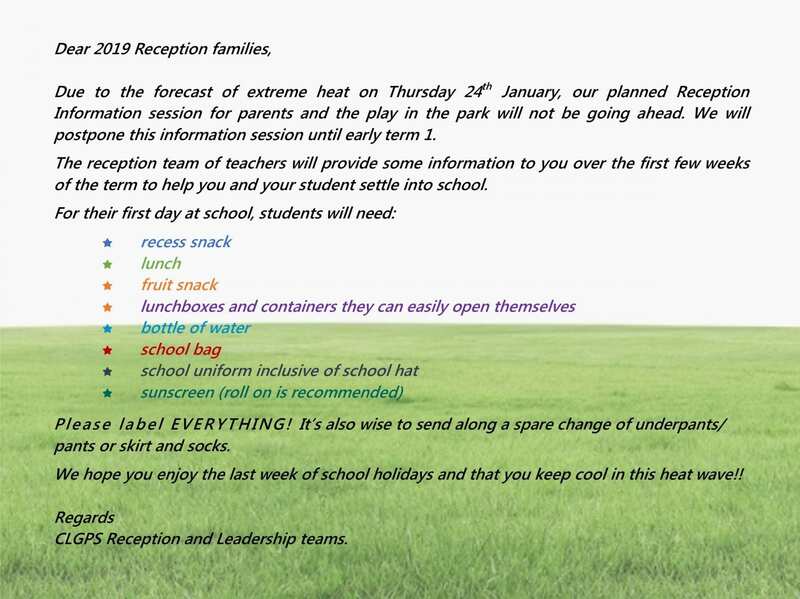 2019 Reception Parent Information Session – CANCELLED! This entry was posted in Previous Posts on January 22, 2019 by meganclg.